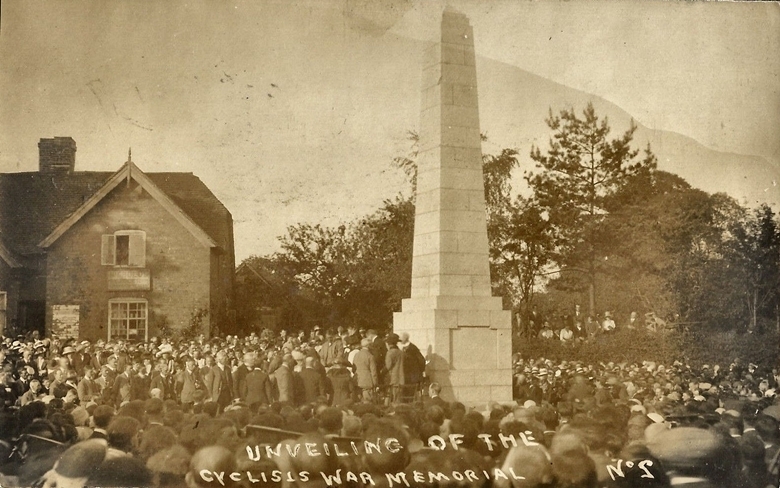 The obelisk honors the cyclist troops who were killed during World War I. 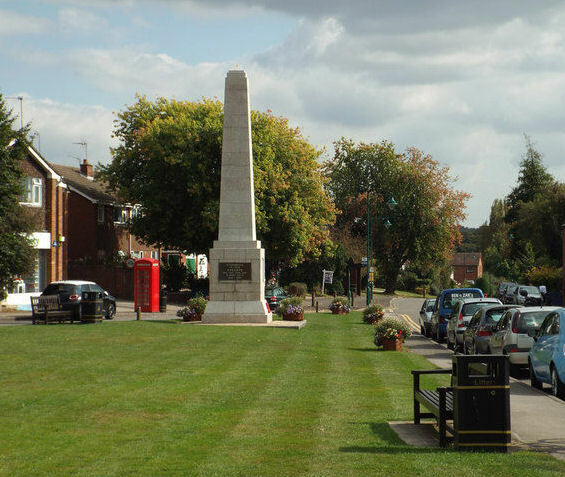 Located in The Green at Meriden, between Coventry and Birmingham, in Warwickshire, England. 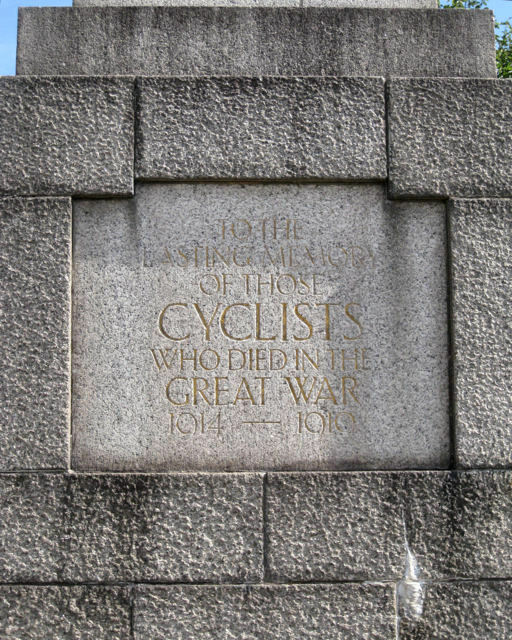 It was built to remember the cyclists who rode and died during World War I. The 32-ton, Cornish Granite-faced obelisk was installed using donations from cyclists all over the country, and Meriden was chosen for its location at the center of the country. The future king Edward VIII (then Prince of Wales) even auctioned his own bicycle to contribute to the fund. It was unveiled on May 21, 1921 with a ceremony attended by over 20,000 people. 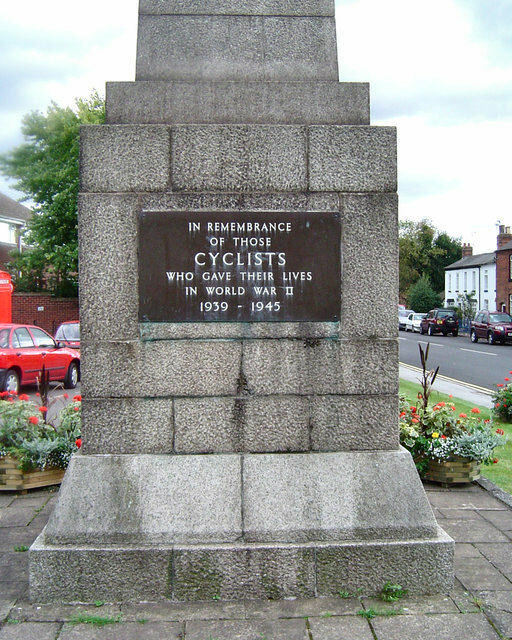 An annual service of remembrance is held each May, which hundreds of cyclists pedal their way to Meriden to take part in.